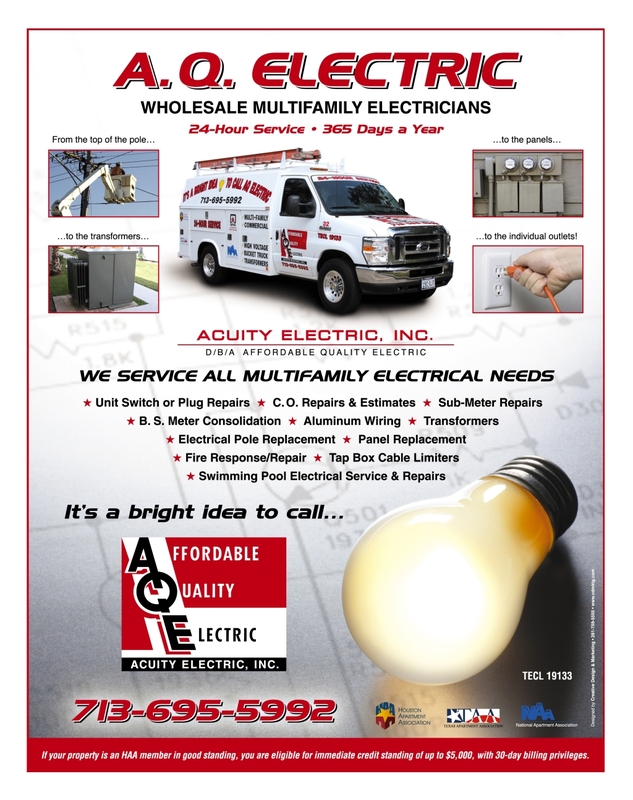 Acuity Electric, Inc. dba AQ Electric and Affordable Quality Electric has served the Greater Houston area for more than 20 years as an Electrical Contractor with a concentration and specialty in the multifamily industry. We provide quality services at an affordable price! WE ARE HIRING LICENSED JOURNEYMEN AND APPRENTICES!PLEASE CALL FOR MORE INFO. Call us today to solve your electrical emergencies. See more information on Contact Us page.